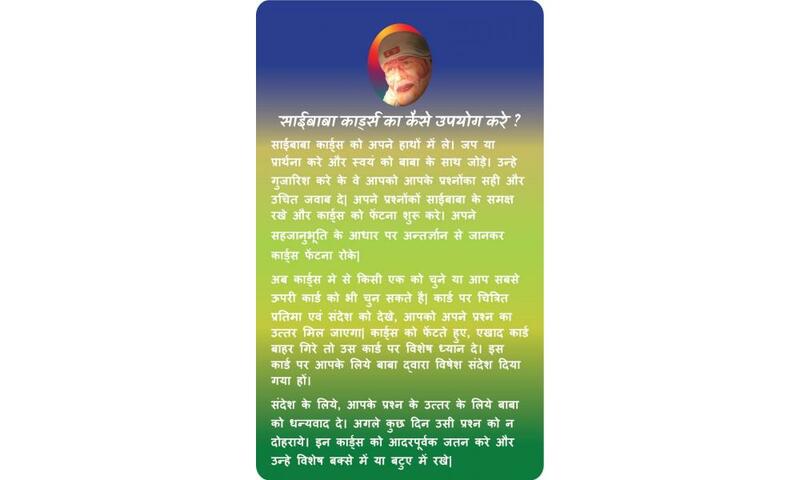 What is Sai Baba Message Card? Sai Baba of Shirdi is one of the five perfect masters. Sai Baba was known for his miraculous ways in which he shows his presence to help his disciples both when he was alive and after he attained samadhi. Baba’s preached to his devotees the significance of Shraddha (faith) and Saburi (patience). Baba Leela's are mysterious and a devotee who has shown undoubted faith in him and patience and has always felt his presence and guidance. 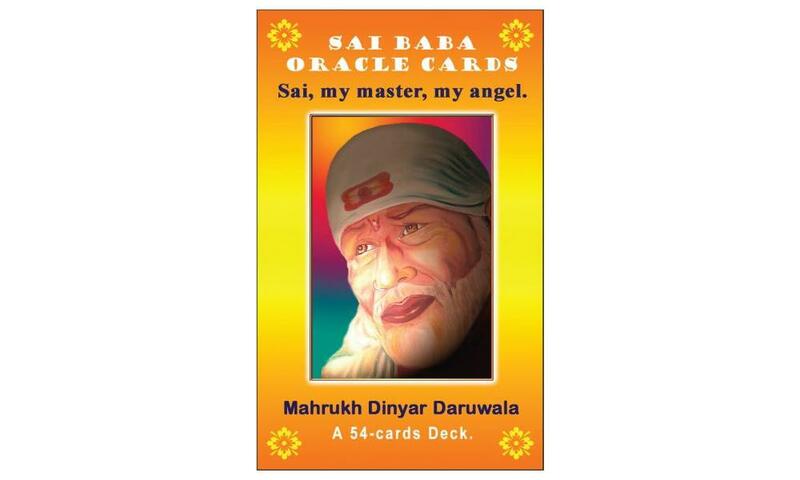 This 54 card deck by Mahrukh Dinyar Daruwala is a small tribute to her Master Shri Sai Baba. 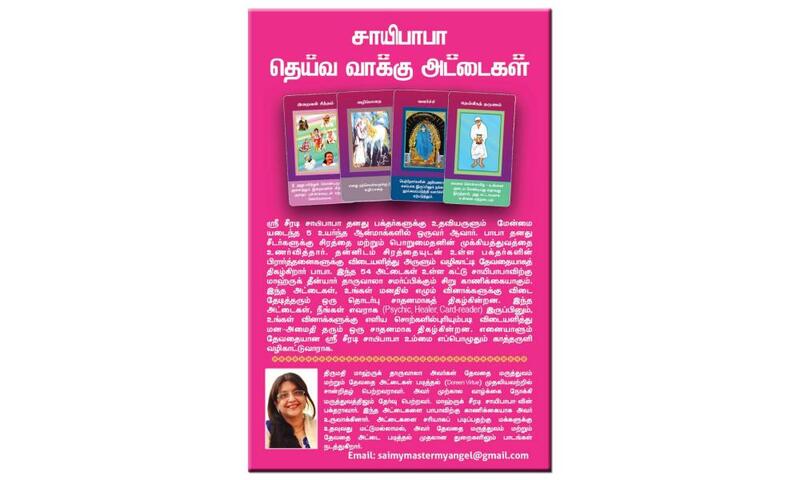 Mahrukh has been blessed by Baba to spread his teaching and messages to the world in the form of these cards. This deck acts as a medium for those who seek answers. Whether you are a Psychic, a healer, a card reader or a devotee seeking answers, these cards can assist you to get you closer to our Baba Sai. The cards are easy to understand and self-explanatory. 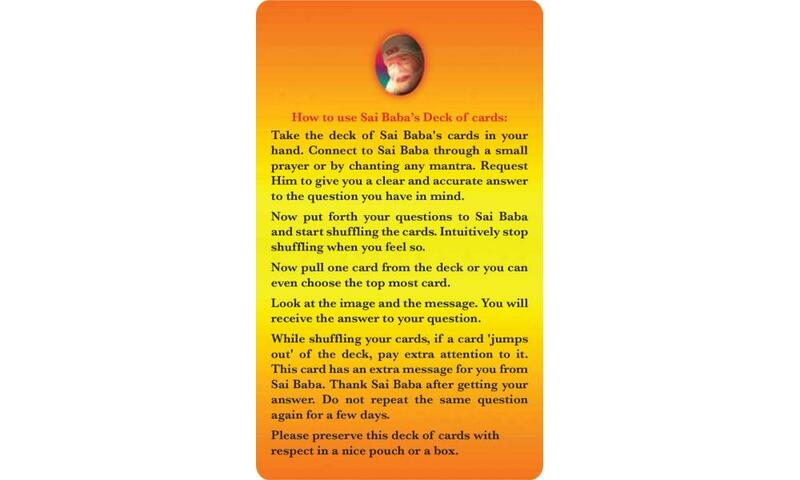 They can be used to answer a particular question or just draw one card every day to get a daily message from Baba. Why should one use these cards? 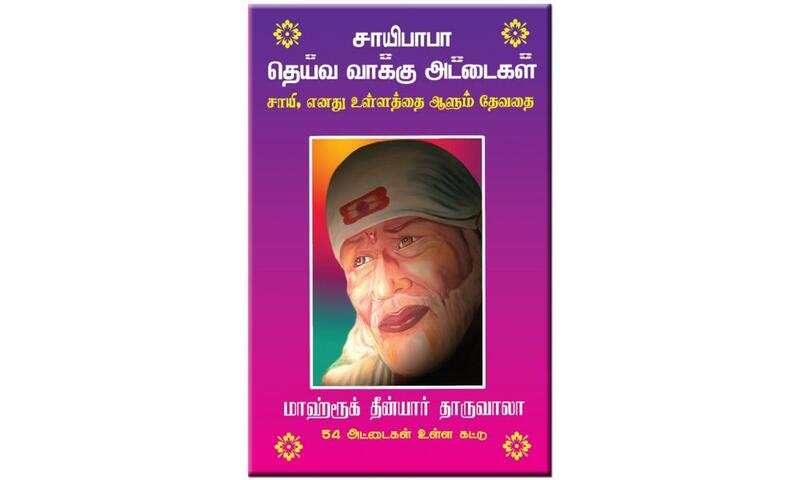 Sai Baba Message cards are designed for his devotees only. 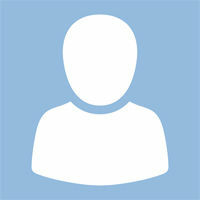 It is important that one has faith in their master to get the best card reading experience. There are 54 cards with Baba’s messages and teaching in this deck for the devotees to draw from. 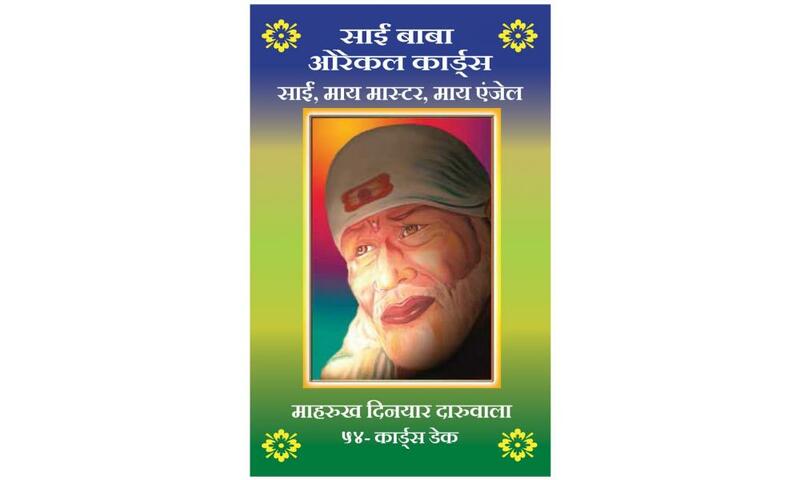 These cards are a powerful tool to connect with the guidance & love of our master Sai Baba. With these cards, you can get answers to questions about career, family, relationship or a card can be drawn daily for general guidance. Each of the 54 cards has a picture and a message on it. the guidance from your master will lead you to draw certain cards. Each deck will need to be charged with the energies of the devotee you can do that by taking the deck in your hand and connecting with Baba through a small prayer or by chanting any mantra. Whilst doing so request Baba to give you a clear and accurate answer to your question. Now put forth your questions to Baba and start shuffling the cards. Intuitively stop shuffling when you feel so. Now draw 2-3 cards from the deck if any cards fell out while shuffling use them in your reading too. Look at the image and message. You will receive the answers to your question. These cards are easy to use and the messages are easy to interpret. 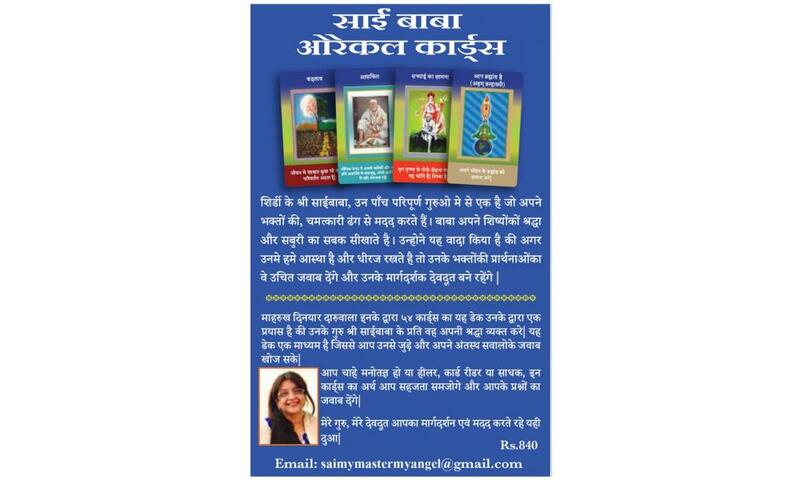 If put simply one should use these cards to feel one with their master Sai Baba. Whenever you feel down Baba always comes for your rescue this is a tried and tested testimony that I have experienced. These cards are a tool by which one can reach out to Baba. Baba bless all of you who are reading this Jai Baba to all. 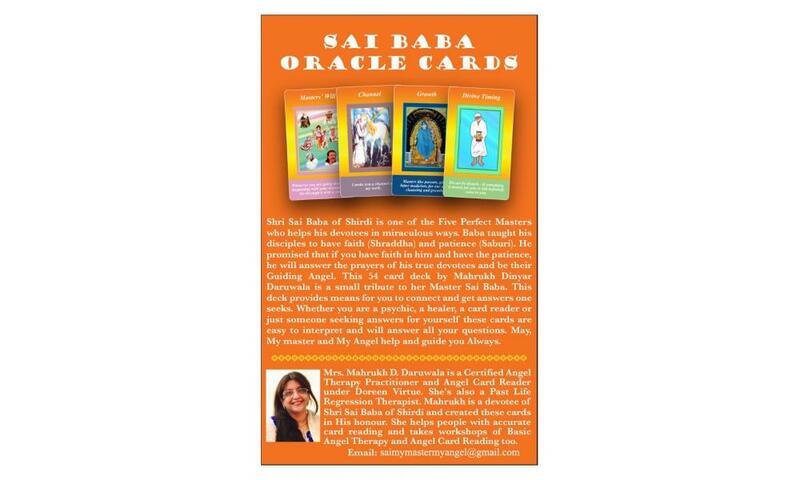 Sai Baba Oracle cards, "Sai, my Master, my Angel" are beautiful cards made by Mahrukh Daruwala. When ever I am in need of help or get stuck somewhere in my life I take guidance from these card's and I always get the appropriate answer to my questions which I put forth to Baba.